A classic wood frame in a choice of colours, either portrait or landscape. 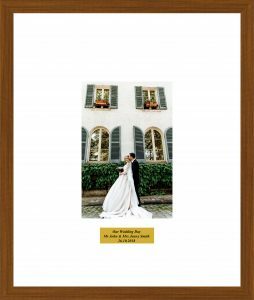 Each frame comes with a gold or silver plaque personalised with your own details. 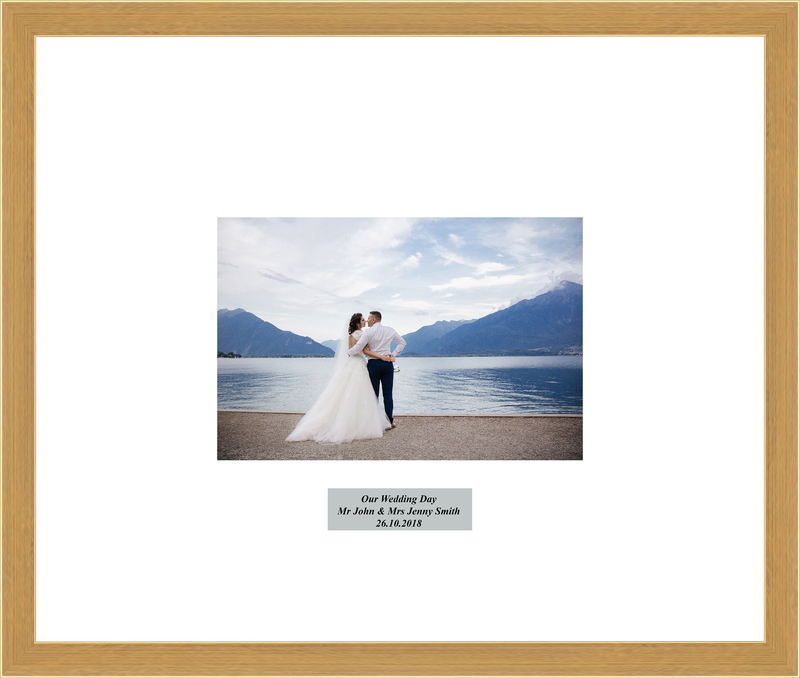 Includes a photo printed and fitted into your frame after your special day. 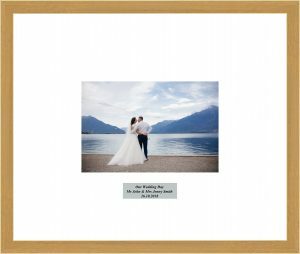 Frame size is 565mm x 665mm.